Originally published on We Are Colony. The Survivalist is about a man who survived the end of civilisation by any means necessary, who finds his life threatened when two women discover his weakness, which is desire. Now tell us what is it actually about? “Everyone on-screen is a killer…we’re looking at the effects of that”. How did you begin in creating the dystopian world of The Survivalist? I began the film when I heard about “peak oil theory”, which is the idea that fossil fuels go into decline – not when they run out, when production slows – the economy’s need for continual growth will mean there’ll be a huge price spike and eventually it’ll lead to economic collapse and I thought it was fascinating. Our dependency on resources, whether it’s credit, which is just a financial instrument, or fresh water or fossil fuels, lead me to imagine how I would survive in such a circumstance. The Survivalist is an act of fantasisation. If you look at most post-event films or series like The Walking Dead, to some extent they’re about wish fulfilment. We feel so constrained by our lives and by societal strictures that we like that idea that we could survive by our wits and be ourselves, truly, in a world which is “survival of the fittest”. There’s something exciting about that. It’s about characters who have lost everyone they’ve ever known and they have been deformed by that process, they’ve had to kill to survive – everyone on-screen is a killer – and we’re looking at the effects of that. Essentially it’s a suspense film about three characters in close proximity who don’t necessarily trust each other, but who begin to grow closer and that raises interesting questions about who they are and whether civilisation is something we agree upon as a functional way of organising things, or whether it genuinely reflects the kinship, that is in our genes, between us. What prompted certain stylistic choices, such as the absence of the musical score? Or the use of graphics at the beginning? Primarily it’s about tension. How do you get an audience invested in what’s going on? In my experience, you treat them as adults and you let them do the investigation, you get them to look for clues, you get them to realise – just as in life – there isn’t a dramatic music cue before a car hits you. I was very interested in not editorialising, not providing the context, because the context isn’t relevant. There’s very little dialogue – maybe 100 lines – again, you have to investigate the characters to work out what’s happening and hopefully the audience will be a lot more involved if they make that investment. In the first 15 minutes of the film, there’s a single character on-screen and it’s like an induction course – this is going to be the grammar of what we’re doing, this is going to be the journey. When a really interesting story emerges, it exceeds what the audience expects will happen. The absence of the music came down to the fact this is a world without electricity, therefore music doesn’t really exist. People play acoustic instruments, but why would they do that, because it might attract attention? I do have characters in the film who play music on occasion, in their safe haven, but every time they play that music it reminds you of how much it’s fallen silent. So its presence emphasises its absence. It also allowed us to focus on the sound design. Almost everything you hear on-screen was re-recorded afterwards. Every rustle of a branch, every creak in the floorboard, every bit of wind. My sound designer Jamie Roden and his team spent a huge amount of time creating that so we could control every element of the audience’s experience. We mixed the film in mono, and we tried to create a very heightened suspension of disbelief, it’s a very interesting experience in that regard. So much of the film is told through sound and because you can’t always tell where it’s coming from, it’s more tense. It’s an aural experience. One critic has cited that The Survivalist is like “Interstellar Meets Cabin in the Woods”, were there any films, or filmmakers you drew from particularly in the making of this film? That was my favourite comment. It got it down. It’s an expansive story in a small space. I’ve always been influenced by Christopher Nolan and his making a micro-budget film and then a bigger film and a bigger film. This is my Memento… it was a twist on the murder-revenge story and The Survivalist is a twist on the Cabin in the Woods story. Typically it’s about a group of people discover a cabin and all is not well or there’s a strange man there. This film is told from that strange man’s perspective. There are other influences as well, like Robert Zemeckis, who I’m a tremendous fan of. Marty McCann and Marty McFly aren’t so adjacent in terms of how likeable they are, even though they’re from completely different worlds. And my big influence was Andrei Tarkovsky; a Russian filmmaker whose made some incredible films, including Stalker, which was a science fiction film but not really. It was all about the choices the characters made and I thought that was wonderful. It was so strange and spiritual and where The Survivalist really works as a film are some of its most spiritual moments and the moments I liked most in Tarkovsky are like that as well. The biggest problem with a lot of films is your cast; if you haven’t cast correctly or had the time and I made a decision in this that I was going to cast it right and get the time I needed on-set. And so I would spend a lot of time rehearsing on set with the cast. The process was so centred around them and that meant sometimes I ran behind because I was so focused on getting the best performance from him. So making sure they had the time to do that when you’re surrounded by a big production machine was one of the big challenges. The other major challenge was creating the sound, which we were making from scratch. To make it sound realistic but totally controlled as well was the thing that took the longest out of any aspect of the movie. Did your short films – one of which is a prequel to The Survivalist – provide a good starting point from which to direct your first feature? Short films are essentially sketchbooks for oil paintings. 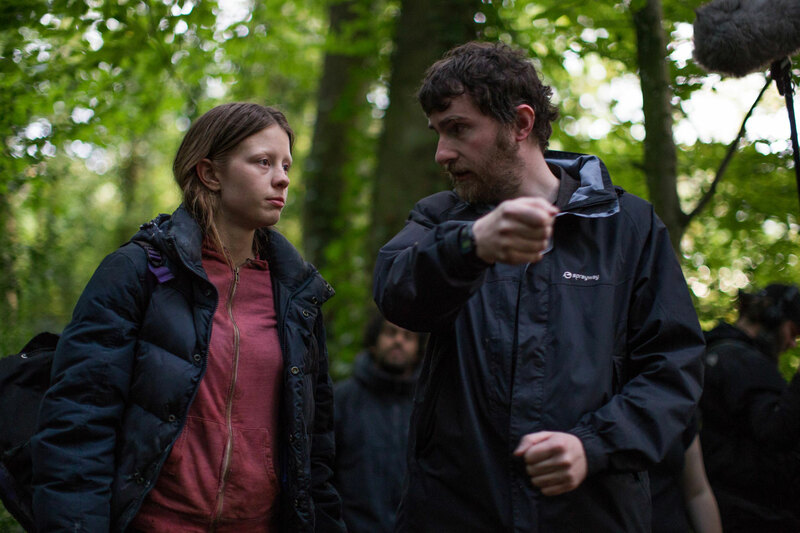 We did a prequel to the movie called Magpie which was funded by the BFI as a trial run for how I would direct The Survivalist and I cast Martin in that and he was so good I cast him in the feature and we were shooting within a matter of months. It was a great experience – we had a lot of the same crew – it was fascinating beginning to establish the language of shooting a feature film. It’s a brilliant idea, if you get the chance to make 15 minutes of the movie you’re going to do you find out what works and what doesn’t work. In Magpie the performances are really good, but the one thing I didn’t like, if this is set in a world where everyone is starving, the actors look very well-fed. So I knew for The Survivalist they had to lose weight. So for 10 weeks prior to the shoot Martin began dropping his eating massively. We had a nutritionist who advised Martin (McCann), Mia (Goth) and Olwen (Fouere) on cutting back their diet. Olwen remained on the diet throughout the whole production. That’s something that came from the experience of shooting Magpie. “The biggest lesson I’ve always taken forth with me – and it’s taken a long time – is that the actors tell the story”. The film is a very lean, tense thriller, was that the case from the get-go or did you have to leave a lot on the editing room floor? The premise was fundamentally suspenseful because you have three characters in a cabin and there’s not enough food for all of them. So whatever way you cut it, every scene should be full of tension. Every single scene. Anytime anything is happening on screen, one of the characters could die. I’ve sat through screenings with 300 people where nobody goes to the toilet because it’s so tense. A lot of that as well is to do with my editor Mark (Towns; Lilting), who has a strong background in documentary and has won a BAFTA for it, and we’re very disciplined in making sure the audience have the best experience. It’s essentially a cable we’re running the audience along and the tighter that cable is, the better the experience. There’s so many great scenes in the film because of the decisions the actors made. My favourite sequence is probably the arrival of the women through to the shaving scene and walking that scene through with the actors really added to the realism of it. When Martin takes the actors inside [the cabin], I didn’t tell the actors I was going to film that. I kept the camera rolling, so when Mia walked into the cabin for the first time it’s the first time she’s seen it. She’s looking around and the focus-puller is a bit caught off guard and he’s trying to keep her sharp. There’s a really magic to the first time you do anything. In fact in that scene one of the actors is wearing a microphone but you don’t notice because you’re looking at their faces. That was absolutely fantastic. It’s going to be rare for me to get the opportunity to work with three actors as talented as Martin, Mia and Olwen and have the freedom to do that on set. When you move to a bigger production, it’s more controlled, there’s less chance for improvisation and one of the special things about this is you’re rarely going to see a better cast given the space to make interesting choices. What’s the biggest lesson you’ve learned as a filmmaker? They’re all really important. The biggest lesson I’ve always taken forth with me – and it’s taken a long time – is that the actors tell the story. When I got into filmmaking I was obsessed with the camera, with formats, dollies, cranes but I’ve worked for a long time with my editor and he says the most important thing is what you’re cast do. 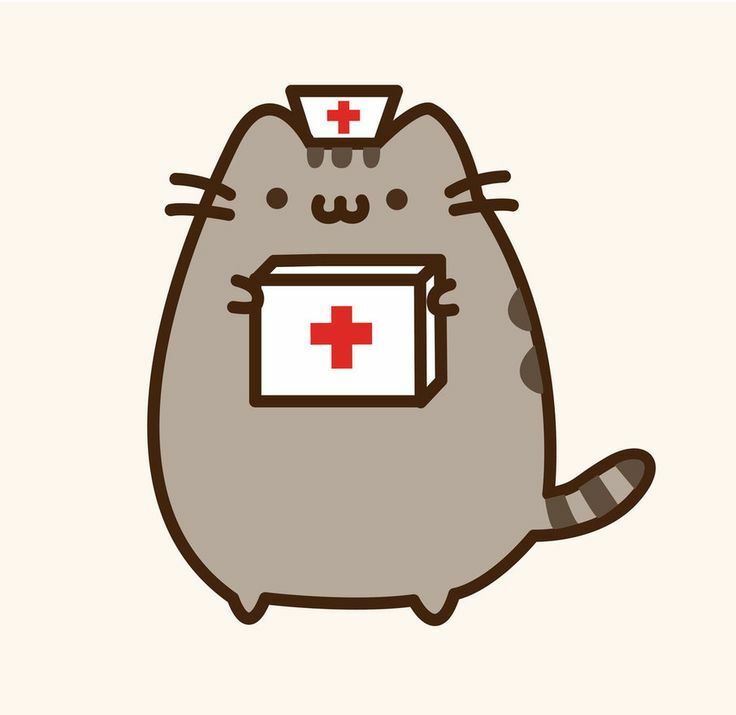 He says I can’t do anything if the cast haven’t given me something to cut with. And I had to make a lot of choices and compromises, as you have to with any low-budget film, in order to protect the actors so they could deliver their performances and it’s really reinforced that in the process because as long as the actors can tell the story, you’ll be alright. The Survivalist is out now, alongside two more of Stephen Fingleton’s short films; Insulin and Away Days, only on We Are Colony. 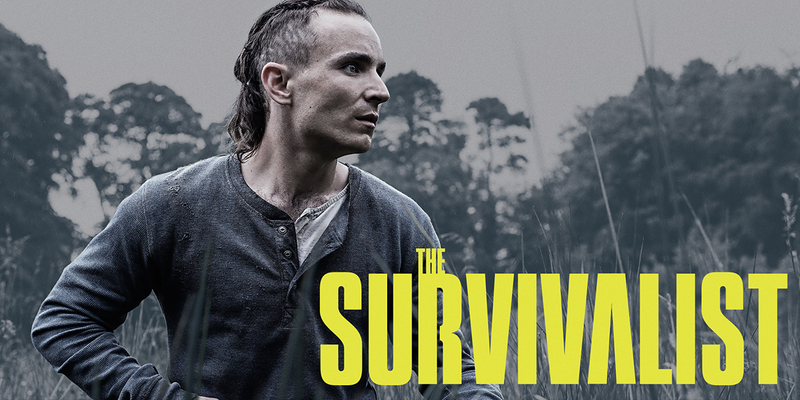 In The Survivalist, BAFTA-nominated Stephen Fingleton creates an intensely realistic vision of a post-collapse world. The loss of modern luxuries and amenities force three survivors to collate all their wits and resources to avoid encroaching danger. A post-apocalyptic movie on steroids, Mad Max is arguably last year’s most talked about film. Where The Survivalist is sparse and introspective, Fury Road is a ferocious whirlwind of CGI spectacle. Still, there’s a reason Indiewire labeled Fingleton’s debut “Mad Max in the countryside”. Each bring a vivid sense of detail to the ‘end of the world’ scenarios they have created to startling effect. Set on a train trapped in an infinite loop around a frozen planet, the world’s dwindling resources inspire a group of ‘third class’ passengers – among them Captain America (Chris Evans), Billy Elliot (Jamie Bell) and the Elephant Man (John Hurt) – to overthrow the oligarchs that power the engine. Refreshingly different in its take on disaster, Snowpiercer is an absurdist piece of cinema. Visually it might not have much in common with The Survivalist, which revels in the muddy minutiae of a post-collapse environment, but it’s a stellar example of how to inject a bit of humour into what’s typically a sombre genre. Equal parts suspense and horror, Snowpiercer is contemplative yet entertaining and where both films excel is in their ability to tell an expansive story in a small space. Speaking of sombre, John Hillcoat’s The Road is the often held up as a litmus test against which apocalyptic films are inevitably compared. As Viggo Mortensen shepherds Kodi Smit-McPhee across a ravaged, cannibalized America, it’s hard to recall a film that has so frighteningly depicted austerity. The result is something remarkable and haunting, but which, at times, feels excessive. Nick Cave and Warren Ellis’s elegiac score orchestrates certain moments to detrimental effect and there are sequences where silence alone could be more fitting. The Coen brothers, in their adaptation of Cormac McCarthy’s No Country for Old Men, left the soundtrack devoid of music, a choice which subsequently maximizes tension. Indeed, where The Survivalist is most effective is in its absence of music; when pregnant silences and the threat that fills them, linger. “Cuarón and Fingleton exhibit a flare for kinetic filmmaking, utilising tracking shots to explore a primitive landscape with poetic flourish”. 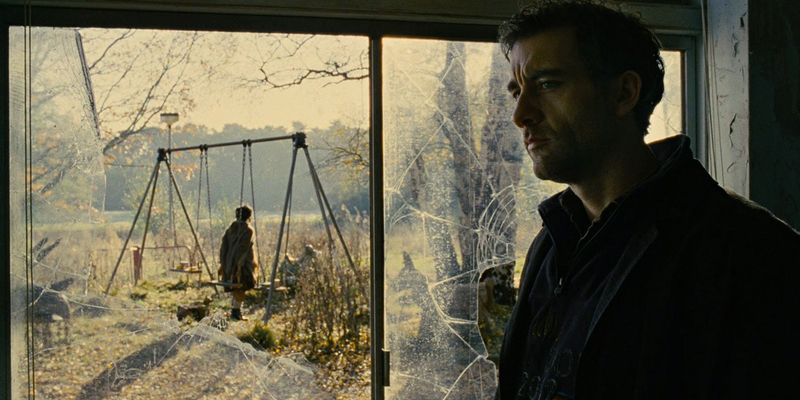 The world is a battleground in Alfonso Cuarón’s Children of Men and Clive Owen must act as bodyguard to society’s last hope at regeneration. Now twice Oscar-anointed, cinematographer Emmanuel Lubezki demonstrates striking visual prowess. His recreation of a war-torn dystopia, where characters live in perpetual fear of being struck by a bullet or a bomb is astounding. The Survivalist employs a similar aesthetic of dirt and drizzle, and both embrace a costume and production design that feels chillingly plausible. Likewise, Cuarón and Fingleton exhibit a flare for kinetic filmmaking, utilizing tracking shots to explore a primitive landscape with poetic flourish. Australian director David Michod’s follow-up to Animal Kingdom sees Robert Pattinson and Guy Pearce exchanging blows against the backdrop of a desolate, dystopian society. Perhaps most similar to The Survivalist, what separates both these films from the lesser iterations of their genre is the focus on the human condition as opposed to the context. The reasons for economic and societal collapse are for the foremost left a mystery, and in a world where supplies and a sense of order are scarce, The Rover and The Survivalist question what’s left of mankind when civilization and its organizing principles disappear. “An immersive, intimate experience against the backdrop of a sublime and primal landscape”. The film that might finally secure Leonardo DiCaprio his long awaited Oscar, sees him take on a bear, a perilous journey and a Tom Hardy with an agenda. To say it’s deserving is an understatement. Whilst The Survivalist’s scale might be smaller, both films test the endurance of their protagonists as they are confronted by punishing situations that push their bodies and psychological strength to the limit. In a world that is as exquisitely beautiful as it is brutal, the imminence of death seems omnipresent. 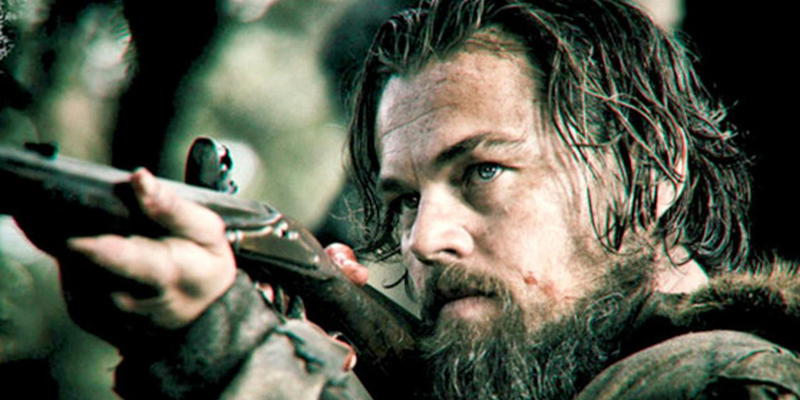 With little dialogue, our only window into the pain that DiCaprio’s vengeful frontiersman Hugh Glass suffers is the nuance of his performance and he more than delivers. In The Survivalist, Irish actor Martin McCann likewise has to experience the woes of maggots and using fire to self-heal, though he’s spared the grizzly encounter. In each film, the result is an immersive, intimate experience against the backdrop a sublime and primal landscape.